Aid SCOUTS SA in preparing children for life, before life happens! 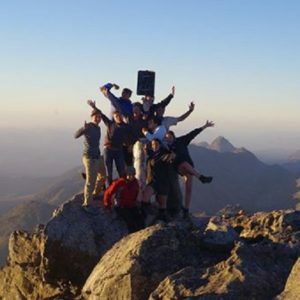 A fresh wind has been blowing through the South African Scouting Movement. The name of the organisation has been changed, programmes adapted to our current societal needs, a lot of new members have joined and we have launched the Alumni Network. Everywhere you look you will find former Scouting members. 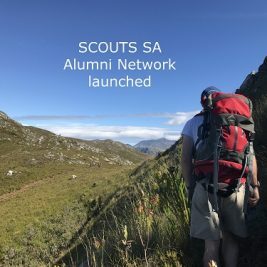 When asked about their experiences, the answer is unanimous “Once a Scout, always a Scout!” With that in mind SCOUTS SA is now reconnecting, rekindling and re-engaging with our alumni! The Alumni Network is open to all former members who once enjoyed the adventures and skills development it provided. Adults currently still volunteering are also eligible to register. The aim of the Alumni Network is to contribute towards realizing SCOUTS SA’s goal of empowering young people in achieving their full potential as individuals and responsible citizens. 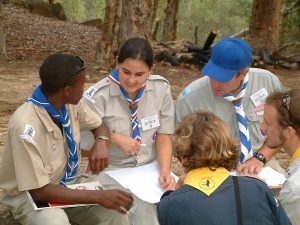 At the heart of all SCOUTS SA’s programmes is a continuous transference of values such as honesty, loyalty, responsibility, respect; all aimed at governing individual behavior and the development of strong leadership skills that will equip youth to be of service to others and to their communities. The Alumni Network is governed by an Alumni Committee of minimum 4 people. The committee would be in direct contact with Regional Commissioners and Alumni Network members nationwide. Being a member of the Alumni Network means that you will be invited to regional events where you can rekindle friendships and re-engage with current Scouting members, you will receive regular notices from your regional alumni representatives with regards to opportunities to get involved in group, district and regional activities and will receive three newsletters annually. Your annual membership fee of R199 will contribute to sustaining Scouting in South Africa and to empowering children and youth .Other projects within the programme include opportunities for Alumni Network members to provide sessions to Cubs and Scouts relating to a specific theme and / or to join the mentoring programme whereby an alumni in a specific field could provide advice or facilitate talks to our current members and as such inspire them to reach their potential and increase their employability in their field of choice. If an Alumni Network member is not in a position to assist, they can simply rekindle friendships during events and stay abreast of the current developments through our various communication channels. Alumni Network members will receive an Alumni Network member pin, 3 newsletters annually and updates from the Alumni Committee when opportunities arise. The establishment of the Alumni Network is also stipulated in the new SCOUTS SA Constitution. 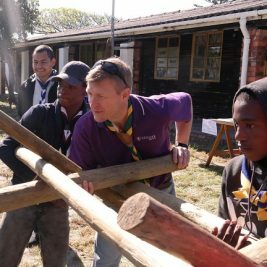 The clause provides for the Alumni Network to vote two people onto the SCOUTS South Africa Board. This gives the Alumni Network the opportunity to aid in steering the Movement in the right direction in order to prepare our children and youth for life, before life happens! We are looking forward to welcoming you back to Scouting!